Richard and Kimberly Knapp talk last month about surviving their plane crash on September 19th at Tri-Cities Regional Airport (KTRI), Tennessee. On September 19, 2018, about 2010 eastern daylight time, an experimental amateur-built Velocity STD RG E, N67WR, was substantially damaged when it impacted an approach lighting system and terrain while landing at the Tri-Cities Airport (TRI), Kingsport, Tennessee. The private pilot and passenger were seriously injured. The airplane was operated by the pilot as a personal flight conducted under the provisions of Title 14 Code of Federal Regulations Part 91. Night visual meteorological conditions prevailed, and an instrument flight rules flight plan was filed for the flight, which originated from Columbus Airport (CSG), Columbus, Georgia, about 1817. According to a witness located on the airport's ramp, he "heard a high revving engine noise and turned towards the approach end of the runway and saw [a] small plane strike the [approach] lights." According to a Federal Aviation Administration (FAA) inspector who examined the airplane at the accident site, the first indication of damage to the approach lighting system began with the elevated approach lights about 900 ft from runway 23. Additional approach lights were damaged between that point and where the airplane came to rest about 400 ft short of the runway threshold. All major flight control surfaces were located along the debris path. All three propeller blades fragmented at the propeller hub. The mixture and propeller control levers were found full forward and the throttle was found 3/4 of the way forward. The carburetor heat lever was found in the off position. The fuselage, canard, and both wings sustained substantial damage. According to FAA airman records, the pilot held a private pilot certificate with ratings for airplane single-engine land and instrument airplane. He was issued a third-class medical certificate in October 2017. According to the FAA airworthiness records, the canard design airplane was powered by a Franklin 6A-350-C1R, 205-horsepower engine. It was equipped with retractable landing gear in the tricycle configuration and had 4-seats. The weather conditions reported at 1953 at TRI, included calm wind, few clouds at 4,500 ft, visibility 10 miles, temperature 24°C, and dew point 20°C. Richard Knapp, who piloted a small plane that crashed last month at Tri-Cities Airport, returned to work this week. Knapp and his wife, Kimberly Knapp, of Seale, Alabama, suffered serious injuries on the evening of Sept. 19 as they attempted to land at the airport in Blountville. Kimberly Knapp remained hospitalized for about 24 hours, and her husband stayed in the hospital for several days. 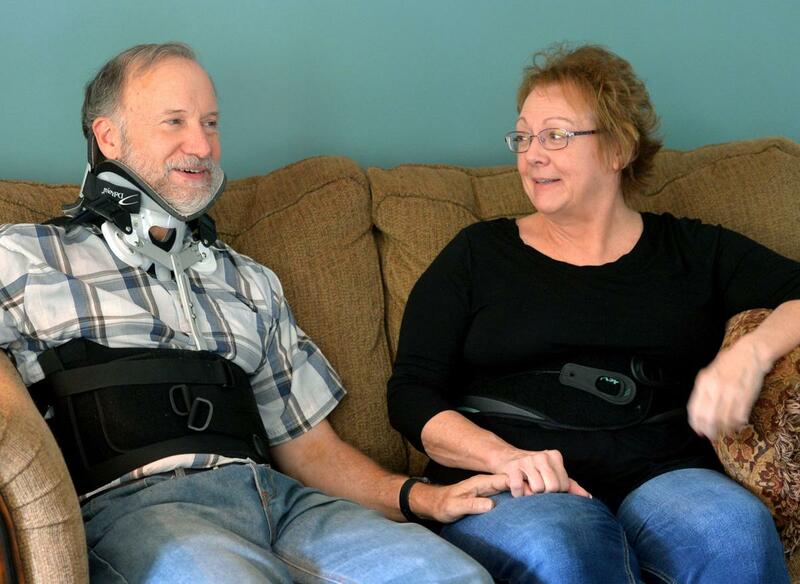 The couple told the Bristol Herald Courier that they are thankful to be alive and believe the thoughts and prayers of their friends, family and the public allowed them to recover quickly after the crash. The National Transportation Safety Board, which continues to investigate, released a preliminary crash report on Friday. The NTSB reports that the pair’s experimental, amateur-built Velocity aircraft was substantially damaged when it impacted an approach lighting system and terrain while landing. Night visual meteorological conditions prevailed, and flight plans had been filed for the flight, which originated from Columbus Airport in Georgia, the report states. According to a witness on the airport’s ramp, he “heard a high revving engine noise and turned towards the approach end of the runway and saw [a] small plane strike the [approach] lights,” the report states. A Federal Aviation Administration inspector examined the airplane and the accident site and determined the lighting system was damaged about 900 feet from the runway. Additional lights were damaged about 400 feet from the runway, the report states. Knapp has a private pilot certificate with ratings for an airplane single-engine land and instrument airplane, the report states. He also was issued a third-class medical certificate in 2017. The wind was calm, there were clouds at 4,500 feet and visibility was at 10 miles, according to the report. The NTSB, which did not travel to the accident scene, has retained the airplane for further examination. A final report indicating possible cause may be filed in coming months. The couple, who previously lived in the Tri-Cities and often visits the area, hopes to fly again. 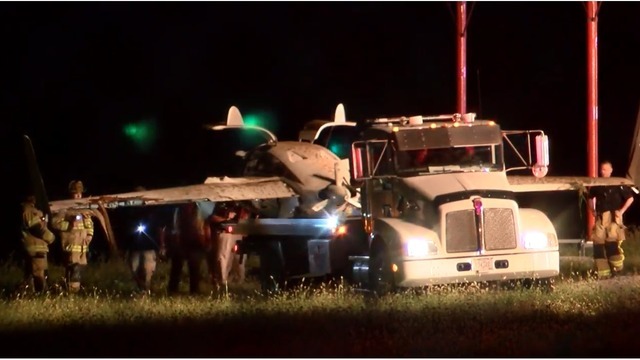 BLOUNTVILLE, Tenn. (WJHL) - Two people were taken to a hospital after a small airplane crashed Wednesday night at the Tri-Cities Airport. The aircraft went down about 500 feet short of a runway around 8:10 p.m., according to Federal Aviation Administration. Officials say the plane was carrying two people when it crashed. Both people were taken to a hospital, according to an airport spokesperson. The extent of their injuries is unknown, but the airport says both were conscious following the crash. Officials have not released their names. Airport runway 23 was closed as emergency crews cleared the scene. It was reopened around 10 p.m. The Federal Aviation Administration says the plane is a Velocity experimental amateur-built aircraft with registration N67WR. Records show the plane is registered to Richard Knapp of Seale, Alabama. News Channel 11's sister station, WRBL, says Knapp is a doctor at St. Francis Hospital in Columbus. According to FlightAware, the plane was traveling to the Tri-Cities from Columbus, Georgia. It departed Columbus around 6:17 p.m. It is unclear if he was on the plane. Update: A small, single engine aircraft went down Wednesday night on Runway 23 at Tri-Cities Airport in Blountville. Sullivan County EMA Director Jim Bean, who was at the scene, said two people have been taken to the hospital. Both individuals were conscious at the time of transport. An airport spokesperson confirmed that the plane was a small experimental Velocity aircraft. The runway has been re-opened. Sullivan County EMA Director Jim Bean, who is at the scene, said two people have been taken to the hospital. A small airplane with two people believed to be aboard is down at Tri-Cities Airport, according to airport spokeswoman Kristi Hauslee. Emergency responders are on the scene. BLOUNTVILLE, TN - News 3 has learned from WJHL in Tennessee that an airplane registered to a Saint Francis doctor has crashed in Blountville, Tennessee at the Tri-cities Airport. News 3 has confirmed that the experimental amateur-built aircraft is registered to doctor Richard Knapp--a pathologist at Saint Francis Hospital. An airport spokesperson confirms the plane was carrying two people and they were taken to a local hospital and were said to be conscious at the time. News 3 has also confirmed that Dr. Richard Knapp was one of the two people on board. He is recovering at the Holston Valley Medical Center in Kingsport, Tennessee. According to the Federal Aviation Administration, the crash happened shortly after 8 p.m. Wednesday night. They say the plane landed 500 feet short of the runway. BLOUNTVILLE — A single-engine, two-seater plane crashed on approach to Tri -Cities Airport Wednesday night, but both occupants appear to have avoided major injury. According to Jim Bean, director of the Sullivan County Emergency Management Agency, the incident occurred at about 8:15 p.m. He reported that the pilot and passenger both exited the plane under their own power, then were transported to the hospital by EMS. Sullivan County fire and medical personnel were dispatched to the scene. According to Kristi Haulsee, director of marketing at the airport, the aircraft is classified in the experimental category, and known as a "Velocity." Haulsee added that runway 23 was temporarily closed by the incident, but was expected to reopen by about 10:30 p.m. The pilot stated that he was practicing touch-and-go landings, and, as the airplane turned onto final approach, the wind caused the wings to rock. The airplane became too low on the approach, and the pilot added full power; however, the airplane impacted trees just prior to the runway, which resulted in substantial damage to both wings and the fuselage. The pilot reported that there were no preimpact mechanical malfunctions with the airplane. The pilot's failure to maintain the proper approach path, which resulted in a runway undershoot and collision with terrain prior to the runway.